We proceeded towards the Japanese Tea Garden where Electric Tour Company is located, we booked our segway tour with them the day before with the help of the very patient concierge of Westin San Francisco Market Street. We had our breakfast at one of the food trucks parked opposite the Japanese Tea Garden, it wasn’t very good but hey, that’ll do. 🙂 At around 9:45 am, we proceeded to go to the Electric Tour Company’s desk to start our segway training. My mom’s training on segway. The group was then divided into two smaller groups before we proceeded with the Golden Gate Park tour. The whole tour lasted for 2.5 hours with a lot of stops for photos. We each had an earpiece so we could hear better what our tour guide was saying. The seven mile tour route explores the eastern section of the park. I was amazed when our guide told us that the park itself was nothing but sand dunes in the early 1800’s before it transformed into a beautiful park. 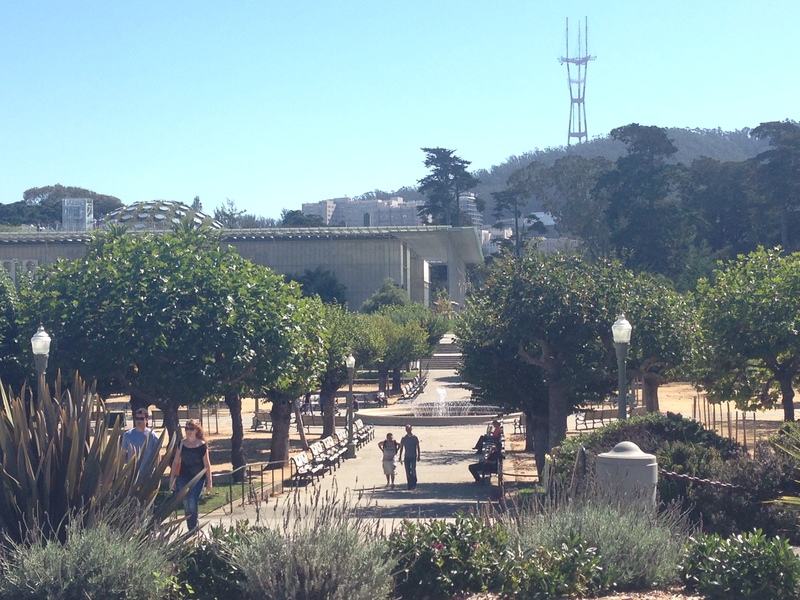 The only downside of taking the Golden Gate Park tour on a segway is that you will not have enough time to take photos or sometimes, you’d just breeze through some of the important landmarks without being able to take photos. That doesn’t mean though that I didn’t enjoy it because I had a blast! The segway ride itself is already an experience on its own, the views and the park surrounding you just makes it a whole lot better. In fact, it was probably the first time since I owned a smart phone that I did not have the urge to take it out to take a photo. I just wanted to enjoy the experience. We stopped for awhile at the National Aids Memorial where we were able to have a quick rest. Standing on those segway for an hour does make the back of your knees tired. 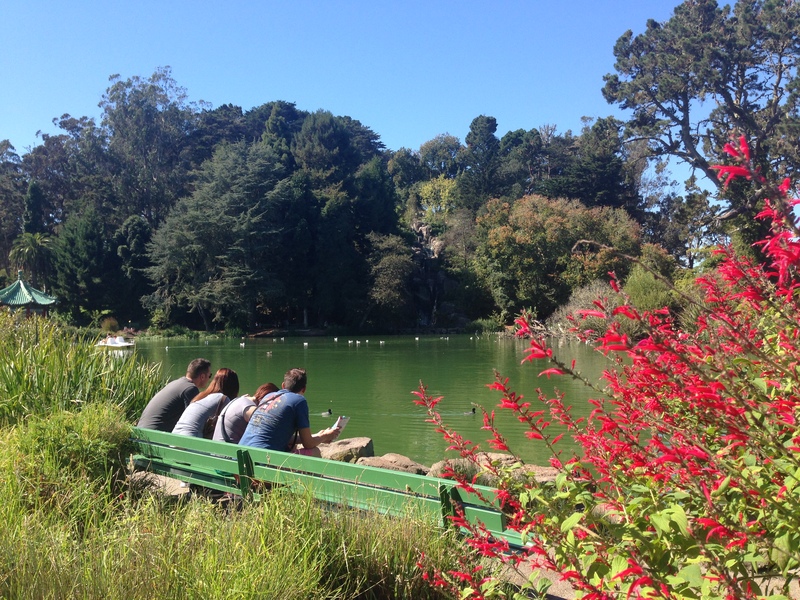 It was a 5-minute break before we proceeded again to see more sights around the Golden Gate park. During the second half, we were all experts with our segways. Once you’ve gotten the hang of it, your body will just automatically do whatever it is that you need to if you want to go forward, backwards or sideways. You will also master how fast you should go if you are to pass through steep roads. It’s kinda like riding a bicycle. We passed by an empty downhill road and our tour guide told us to enjoy it and just play with our segways. We breezed through it like we were skiing, thankfully no injuries occurred. Lol. My aunt was probably the most disappointed when our guide told us that we were about to end the tour. She said that it was only then that she’s finally getting the hang of it and enjoying the segway ride. 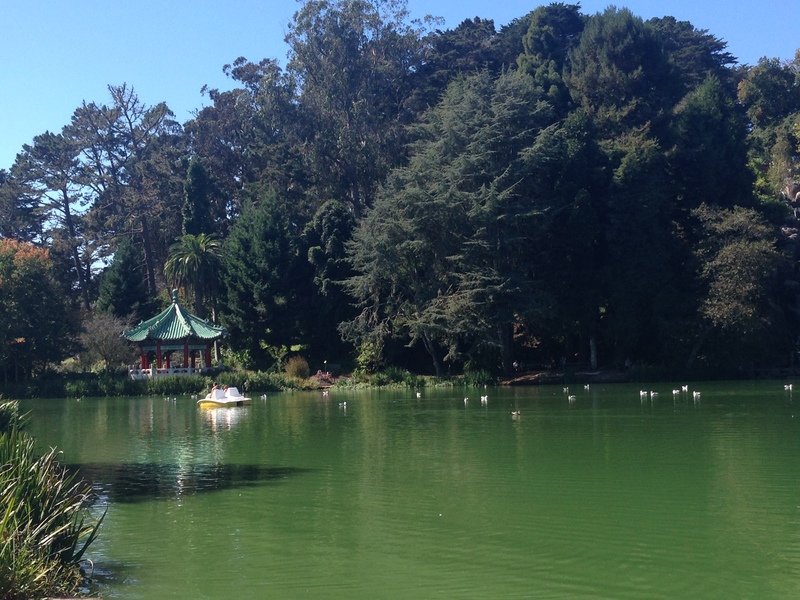 🙂 This tour is definitely the best choice for you to explore the huge Golden Gate park. 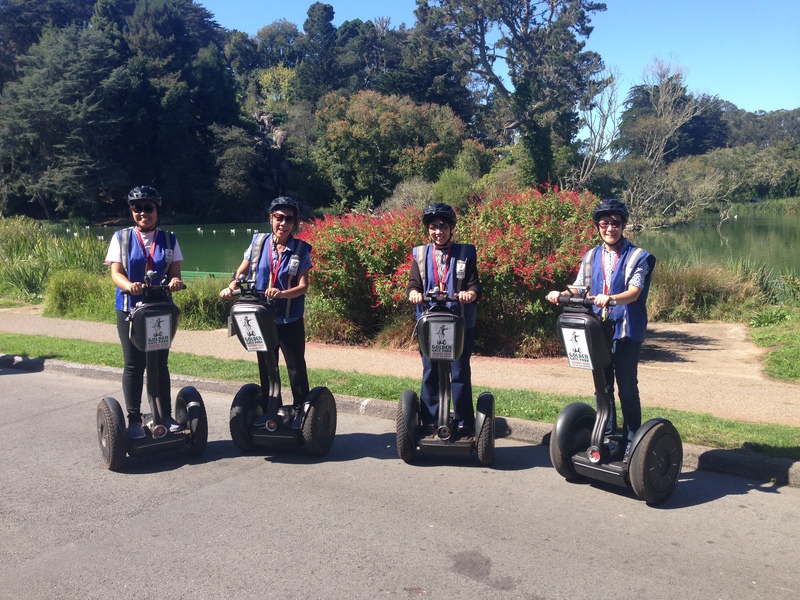 The Golden Gate Park Segway tour by Electric Tour Company is priced at USD70 per person.